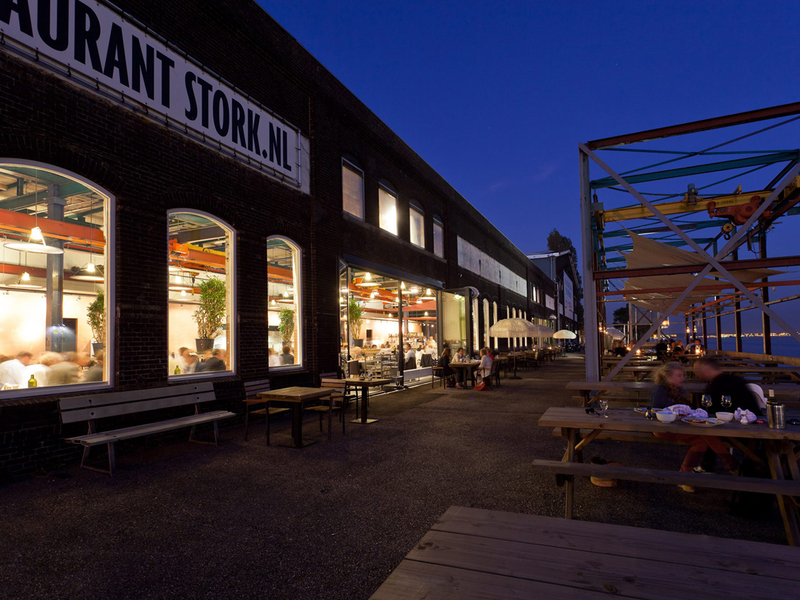 Cafe-Restaurant Stork on the northern riverbank of the IJ gives you a reason to leave the city centre and cross the river. 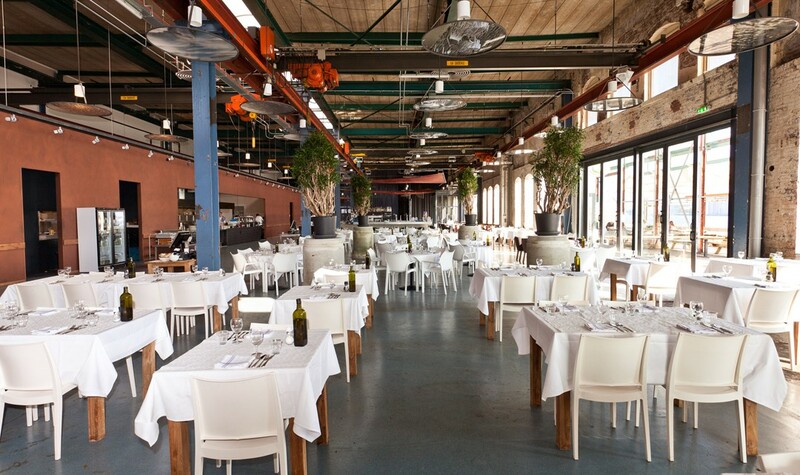 This enormous restaurant with an industrial interior is the biggest fish and seafood restaurant in Amsterdam. 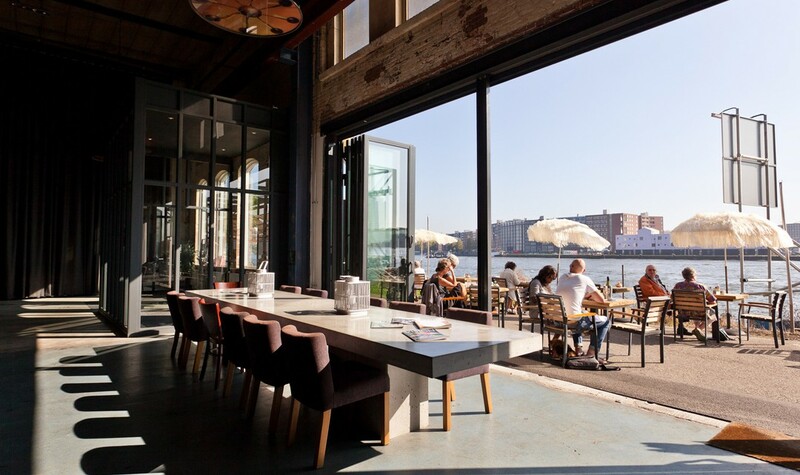 The enormous glass façade offers a beautiful view over the river IJ and is the perfect backdrop for a wonderful evening out. 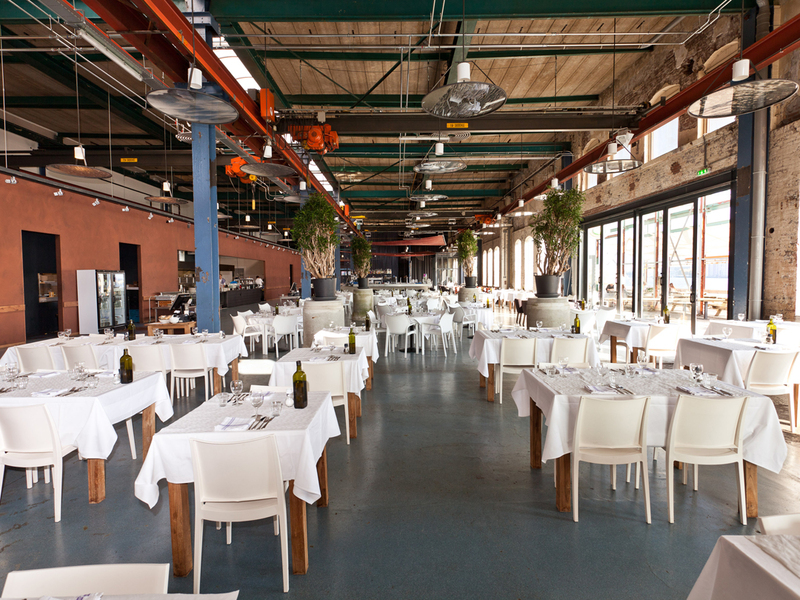 Besides a modern industrial décor, restaurant Stork offers great food and personable professional service. They are committed to use certified sustainable fish as much as possible. This commitment shows through their partnership with Vis&Seizoen (Fish&Season), a foundation that offers sustainable fish that is caught in the right season. The sustainability of Vis&Seizoen’s products is confirmed by certifications such as MSC, ASC and SDN. Restaurant Stork states on the website, the percentage of sustainable fish on their current menu. Though Stork is a fish restaurant, they also cater for vegetarians and non-fish eaters amongst us. Stork is located in an old industrial shed on the former Stork terrain. The whole area is still very much industrial. I was very surprised to find such a wonderful restaurant here. Even though the space is enormous, they managed very well to give it an – almost – intimate atmosphere, with various seating areas. 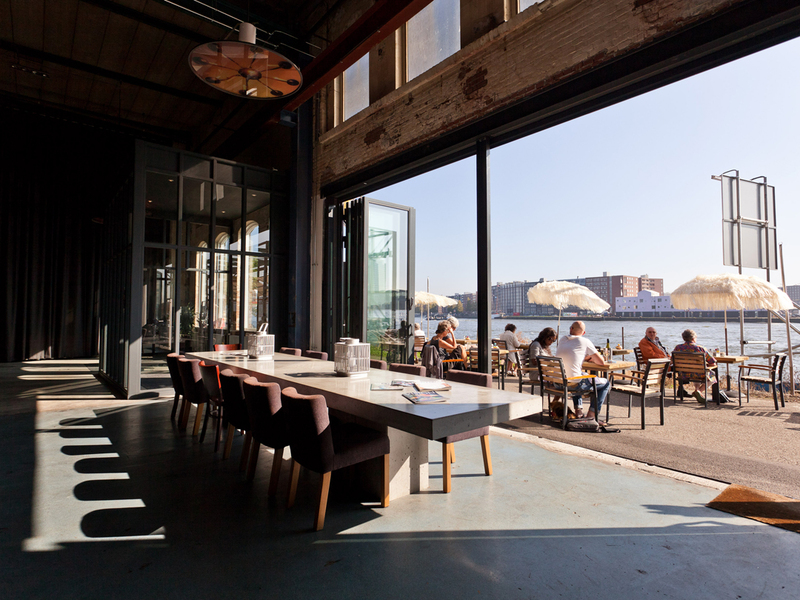 You have a nice view over the river IJ, through the large windows. The food is fresh and the service professional and efficient. This fish restaurant is a must-go-to for every fish and seafood lover! Restaurant Stork is open for lunch and dinner. In summer they have a wonderful terrace at the waterside, with even better views over the water. How to get across the IJ? 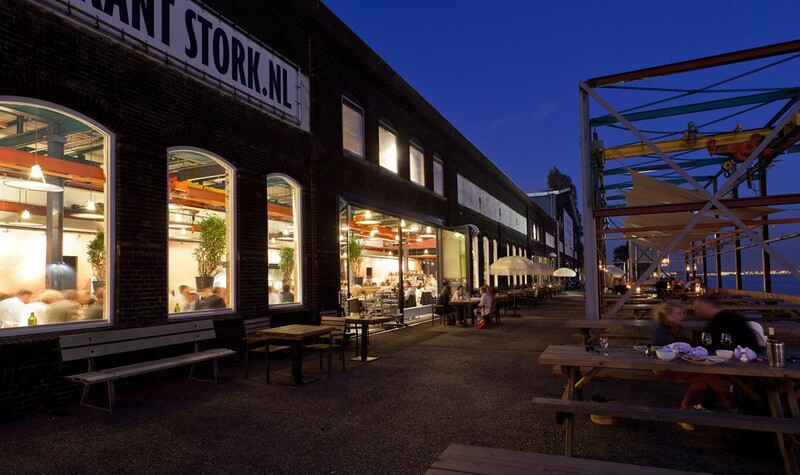 As said, restaurant Stork is located on the northern bank of the river IJ. The best way to get there is with one of the free ferries behind Central Station. Either take the ferry to IJ-plein (runs till midnight) or the ferry to Buiksloterweg (runs all night, but is a bit further from Stork). Restaurant Stork is committed to serve only sustainable fish. Their commitment shows through their partnership with foundation Vis&Seizoen. Stork states the percentage of sustainable fish on their current menu. We have no information (yet) on how sustainably and organic the rest of their menu is and how sustainably they run their business in general.